A few weeks after the revelation that the next entry in the hit spy franchise will be a prequel to the story thus far, Collider reports that The Alienist star Daniel Brühl and Game of Thrones actor Charles Dance have signed on to star in the upcoming Kingsman prequel. The Amazing Spider-Man‘s Rhys Ifans is also in talks to join. Series writer/director Matthew Vaughn (X-Men: First Class) announced back in June that the third entry in the franchise, entitled Kingsman: The Great Game, would take place in the early 1900s and would follow the roots of the spy agency that Taron Egerton’s Eggsy would eventually become one of the remaining agents for and showing us the man who would be Kingsman. Vaughn also announced that unlike the previous two films, this one will be more of a period drama rather than a spy thriller. 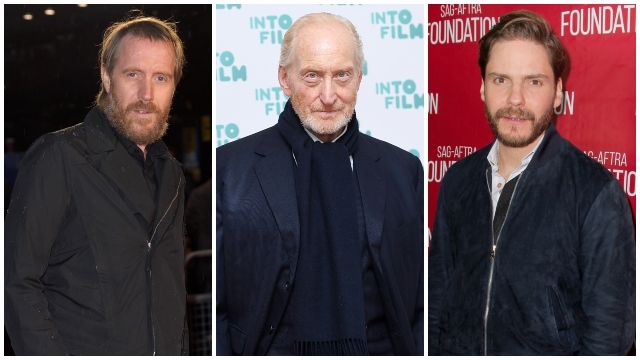 The film has already started attracting an all-star cast, with Trust‘s Harris Dickinson set for the lead role of Conrad, a cocky young hero eager to serve his country and continue his fight from World War I, and The Grand Budapest Hotel‘s Ralph Fiennes set to co-star with him, with Brühl and Dance now joining the cast and Ifans and The Imitation Game‘s Matthew Goode in talks to join the cast. Brühl and Dance’s roles are currently being kept under wraps, while Ifans is in talks to play a dangerous and manipulative Russian mystic. The prequel to the hit action franchise comes as Vaughn continues to expand the universe, based on the graphic novel series by Mark Millar and Dave Gibbons, past the two movies released thus far, including an eight-episode series, a true sequel to the last entry The Golden Circle that will wrap up the Harry Hart (Colin Firth)-Eggsy relationship and a spin-off focusing on the agency introduced in the last film, Statesman, with Channing Tatum (Logan Lucky), Halle Berry (John Wick 3: Parabellum) and Jeff Bridges (Bad Times at the El Royale) all set to reprise their roles from the previous film. Production on Kingsman: The Great Game is set to begin in January 2019 and is currently slated for a November 8, 2019 release.